Damage to Britain’s cars caused by potholes experienced one of its worst ever periods in the opening three months of 2018. The RAC reported that January to March this year was the third highest recorded number of breakdowns, since records began. The wintery conditions through early 2018 saw an increase in damaged roads across the UK, and those potholes did untold damage to our cars, with shock absorbers, broken suspension and distorted wheels all at risk. The RAC attended 5,540 pothole related breakdowns, almost double for the last quarter of 2017, and the motoring organisation is warning that the current quarter could report even worse figures. David Bizley, chief engineer for the RAC said: said: “Anecdotally, few would argue that the harsh cold weather experienced over the last three months has led to a further deterioration of road surfaces. 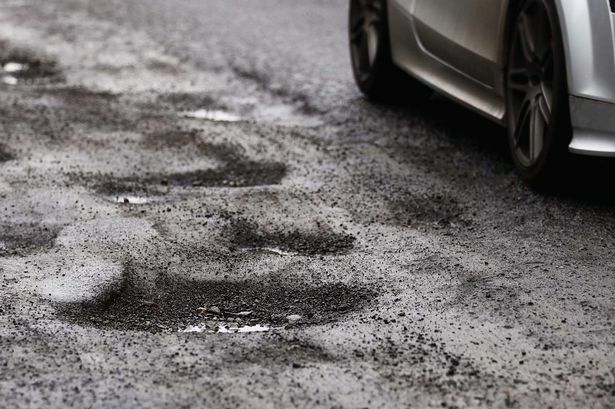 “While RAC patrols saw the third highest quarterly share of pothole-related breakdowns in the first three months of 2018 the figure was not as high as we had been expecting, probably due the fact that the weather hit relatively late in the quarter. For this reason, we feel we are likely to see more vehicles suffering pothole damage in the second quarter of 2018 compared with recent years. The RAC’s Pothole Index, a 12-month rolling measure of the share of pothole fault breakdowns compared to 2006, corrected for seasonal weather effects and improving longer term vehicle reliability, has risen again for the fourth consecutive quarter. The Government is now being urged to put aside more money to maintain a higher standard of roads across the UK network. Mr Bizley added: “We know that many local authorities will be even more stretched in the new financial year and therefore having to deal with the effects of very poor weather in February and March will be a very unwelcome hit on their maintenance budgets for the next 12 months.